I have been working with CRM 2011 for 3 months and during these time I also have been some work on some CRM 4 developments. 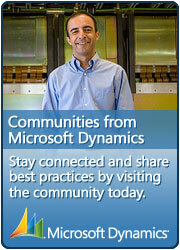 The changes between CRM 2011 and CRM 4 are quite signnificant. CRM 2011 has a lot of excellent new features but it also looks and feels different and from a developers perspective the changes are quite dramatic, which is why it can be quite confusing when you flip between CRM 4 and CRM 2011.
plugins – You now can use early bound entities and Linq. The dynamic entity is now called entity. you also have things like oData, silverlight and jquery. The Ribbon – to add a button into CRM is much more complex because the ribbon means everything is context related. After thinking about these changes I wondered over what time period companies would change from CRM 4 to CRM 2011. CRM 2011 is great from a sales point of view because it has a lot of juicy things to interest potential clients with. It also has a lot of functionality which you had to pay for add ons or develop them yourself, so upgrading would certainly be tempting. I found a survey on Mitch Malam’s blog, which you can see here. Although he has only got 142 votes (although that is actually quite a lot), I would also suggest the people who read his blogs are probably CRM developers. His results suggest that 33 percent of companies are going to use CRM 2011 straight away and 73 percent are going to move to CRM 2011 in the next 6 months. This is a very impressive speed of uptake. Interesting stuff.